Clark Sargent is a fixer. He solves problems and resolves disputes (by side-stepping them if possible, and by winning them if not). 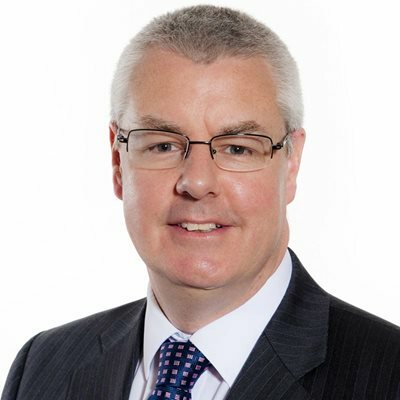 His role is to help our clients manage legal risk, by advising on contracts and relationships that might be starting to get into trouble, and working with clients to identify the solutions they want, work out whether those are achievable, and then implementing the best strategy to see the issue fixed. Clark is a litigation lawyer by trade, but also a contracts lawyer. He advises on contract interpretation, from complex multi-party, multi-contract relationships to small contracts, and solves disputes through negotiation, mediation, litigation and arbitration. Many clients are not looking to end up in court - rarely so, in fact - and are instead looking either simply for an exit from a contract, or to re-base and re-negotiate a contract. Clark helps to build and implement strategies that allow that to happen. Clark has been with the firm for over 25 years. He is based between our Birmingham and London offices in the UK. Clark advises on English law matters and English law contracts but a lot of the work he does has an international element, with one or more of the parties involved based overseas. He has experience of a full range of contract and tort disputes, including on contract termination/ re-negotiation, share sale warranty/ indemnity claims, satisfactory quality/defective goods claims, professional negligence claims, misrepresentation claims, and conversion claims. Clark advised OCCAR, the European intergovernmental organisation, on the re-negotiation of its multi-party, multi-billion pound procurement contract on the strategically important A400M programme. This followed a potentially terminating event by the other side, and the re-negotiation was assisted for OCCAR by the innovative use of standstill agreements to keep the breach alive for the duration of the negotiations. He acted for the Ministry of Defence on the aircraft carrier contracts: drafting the liability and indemnity provisions, within a ground-breaking alliancing structure, in the contracts to purchase the next two aircraft carriers for the Navy. He achieved a successful settlement, and payments in each case to our client to claw back losses, in two recent warranty claims after company acquisitions (both settled in direct negotiations). He advised a car manufacturer on the successful exit from a suite of dealer franchise agreements with an under-performing sales dealership. Clark provided strategic advice to a large Japanese pharma company when delays to a programme threatened to derail a material co-operation and collaboration agreement in which it was involved with a Swiss research and development partner. Clark put in place a process that then allowed the client to achieve its commercial objectives by a contract re-negotiation. He defended, and successfully settled, a claim for fees for additional works under a fixed fee clinical trials agreement for a German biotech company, which started as a claim in economic duress against the CRO for withholding clinical trials outcome data. He ran, and successfully settled, a Danish biotech company's claim for damages against its US CRO company for its failures in the conduct of a clinical trial. He iadvised on a breach of warranty and fraudulent misrepresentation claim for the buyer of a UK business from a Nordic seller. He ran, and successfully settled a multi-million pound claim for a patent owner for underpayment of royalties under a Licence Agreement. Clark has advised on a number of contract exits and re-negotiations in relation to supply and other commercial contracts, including recently in the mobile telephones, the cosmetics and the electrical goods sectors. Clark achieved the successful settlement, and payment to our client, of a professional negligence claim against solicitors arising from tax advice given to an individual on a corporate acquisition (settled against insurers before trial). He ran a group of compound interest claims for taxpayers against HMRC following from VAT repayment claims. He negotiated a successful settlement, and payment to our client, on a professional negligence claim by a wealthy investor against his financial adviser and his investment manager as co-defendants (settled at mediation). 13 March 2018 The Basics: What are the key points on contractual interpretation? 08 February 2018 Can frustration really help you to avoid contractual obligations without paying a penalty? 23 August 2017 Where does the aviation, aerospace and defence sector stand 15 months after Brexit?